When Kim Zolciak-Biermann was recently lambasted on social media for posting a picture of her son in her car in a booster seat, I was totally on her side! People were saying he looked too big to be in a booster, while others were supportive, citing safety first. I’m a pretty safe person and a rule follower at that. I don’t really buck the system too often, and if I have an idea I may deem as unsafe, I’ll suggest it to others and sit back and watch nervously as they execute it. When it comes to safety and my daughter, I don’t mess around. She’s little. Like, really little. She’s in the 2nd percentile for weight and the 1st percentile for height. At one point she was in the 25th percentile and we thought that was pretty amazing. Given her size and my aptitude for safety, it should be no surprise that I made her sit in a car seat and then a booster for as long as possible. The weight guidelines for a front facing convertible car seat are 45 pounds. When she started kindergarten, she was nowhere near that weight, so in the car seat she sat. One day it dawned on me that most of the kids getting out of cars in the parking lot were in booster seats. It dawned on her, too. She was embarrassed and she didn’t want to be in the car seat anymore, but I made her stay in it for a little while longer. By first grade, she had graduated to a booster seat with a back and a 5-point-harness because it was the safest. She was pretty happy with this arrangement for a little while but by second grade, she was over it. If her friends even still used a booster seat, it was a smaller version without a back that used the car’s seatbelt. The problem with that one was that those only work if the child is a certain height. The point is that the seatbelt needs to hit at a certain point on their shoulder, or else it’s pointless. We agreed to use this smaller booster seat for short trips, but she would sit in the larger booster seat if we needed to actually drive somewhere that wasn’t in the neighborhood. She was cool with this arrangement. By fourth grade she was solely using the smaller booster. When she started fifth grade, we moved. She started at a new school and wanted to get rid of the booster all together. But she was nowhere near the 60-pound requirement needed to not sit in the booster. One day she was getting in the car after school when some kids were walking by. She got in the car, side stepped the seat with the booster and pretended she was sitting on the other side. I told her that was smart and if anyone asked, she could tell them the booster belonged to a made up sibling that she doesn’t have so as to avoid embarrassment. Me: What? You have to be 60 pounds to not sit in a booster seat. Doctor: Okay. I even tell my patients to go 10 pounds over that recommendation. But, there’s no way she’s EVER going to get to 60 pounds anytime soon. You CAN NOT send her to middle school in a booster seat. You need to give it up. Then my daughter and the doctor high fived each other. Not really, but they high fived each other with their eyes. 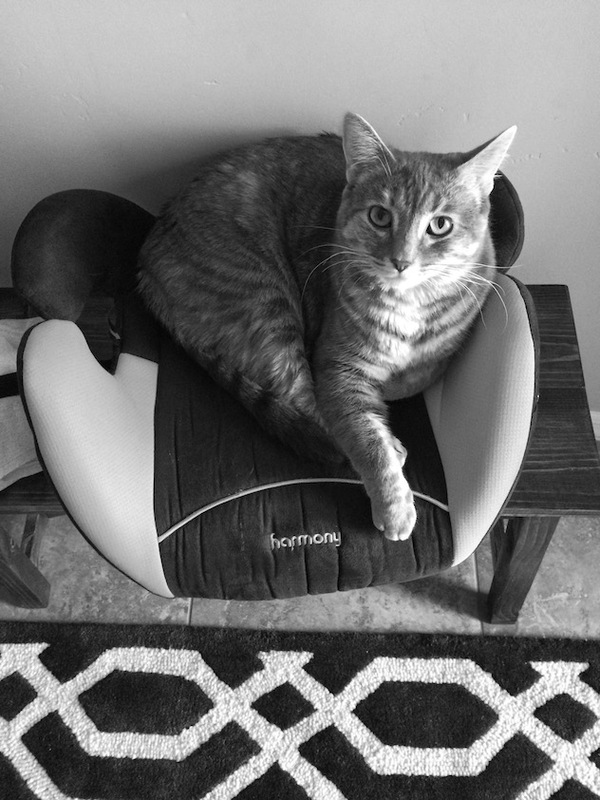 We decided at the end of her fifth-grade year, we would retire the booster seat. On the last day of school, we bid the seat farewell. She doesn’t miss it at all, and neither do I. But hey, safety first.